If you’ve been injured in a car accident, call John Davis for a thorough and experienced approach dealing with your ICBC injury claim. John has been representing parties who have suffered an injury in motor vehicle accidents for over 25 years. His specialized expertise ensures you get the maximum settlement you deserve and that the process is handled professionally from day one. John is willing to discuss any case with you regardless of how big or how small you may feel it is. There is no charge for the initial consultation. No retainer is required and legal fees are not payable until the end of the claim. Not many people are aware that from 2009-2013 there have been an average of 260,000 motor vehicle accidents in British Columbia annually, resulting in an average of 79,000 ICBC injury claims per year (Source: ICBC). 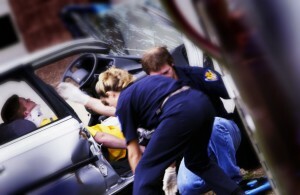 An ICBC injury claim can be a complex process. Immediately after you’ve been involved in a motor vehicle accident, it is common to have an emotional reaction to the events that have just transpired. Judgement can be blurred and you may agree to a settlement that in hindsight is not structured in your best interest. Don’t delay, the time to call John Davis is as soon as possible after your accident. John A. Davis is an experienced and reliable lawyer who has spent the majority of his career arguing ICBC injury claim cases. Talk to John about your ICBC injury claim today and get the settlement you deserve.